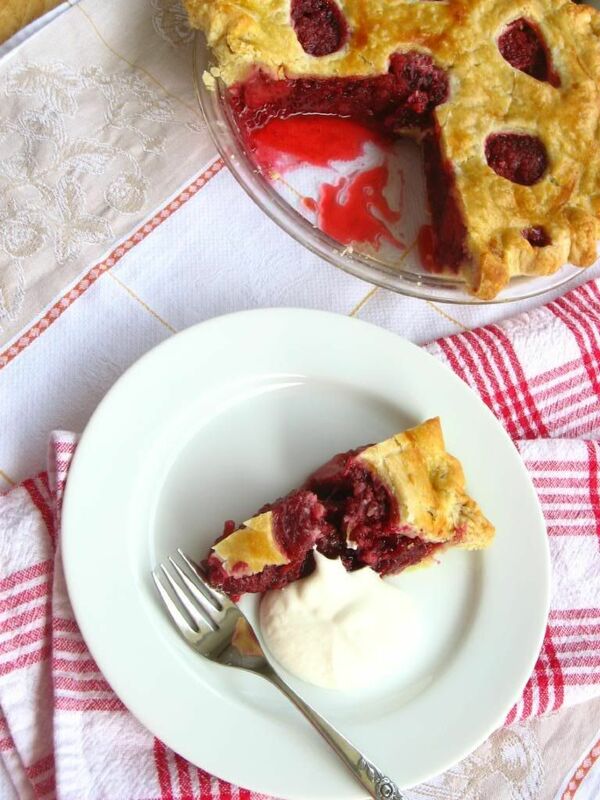 Once upon a time, there was lovely confection by the name of Little Red Berry Pie. 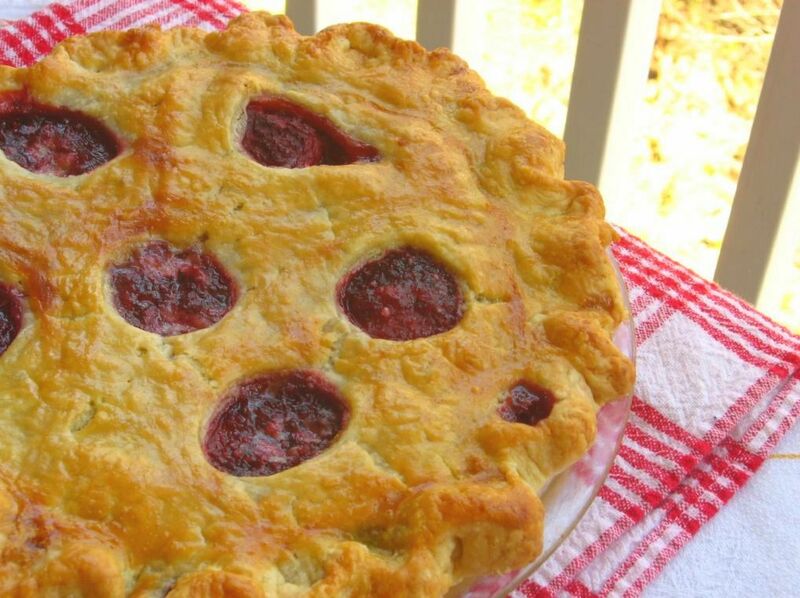 Little Red Berry Pie was tasty and appeared beautiful on the outside, but carried a dark, depressing secret within her shell. 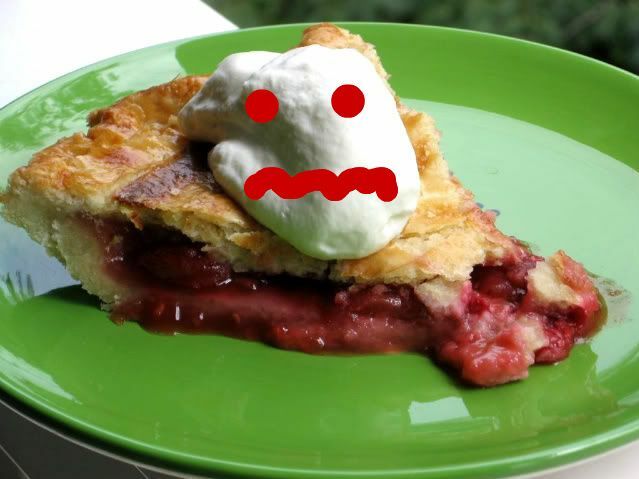 You see, in her fruity little pie heart, she was weepy and sad. Very weepy. Like, soggy. Sort of like a puddle o’ fruit, actually. She hadn’t been made with the best thickener, hadn’t been stuffed with enough berries, hadn’t cooled before being sliced, and was just an all-around mess. One fateful day, though . . . her prince arrived. No white horse was required, and no sword to slay her enemies — in fact, all she needed was him. His name? Err, well. We’ll call him Granny Smith. What?! Never met a prince named Granny? Boy, that bright green prince was a harbinger of happiness! 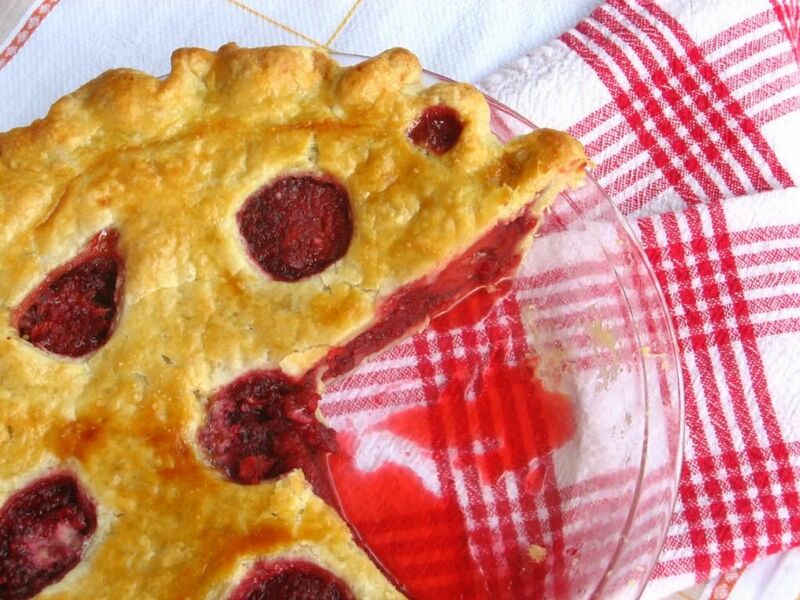 Little Red Berry Pie was reborn — a better version of herself! This Sweetie Pie followed the grand tradition of all fairy tales and definitely lived happily ever after. Until she was digested by gastric juices, that is. Oh, don’t look so surprised. Fairy tales are full of kidnapping, cannibalism, and violence! You’ll have to forgive me. 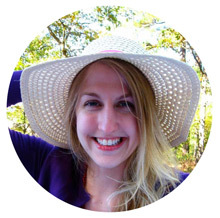 I spent weeks reading fairy tales to my adorable sixth grade students and discussing the elements of fiction — characters, plot, setting, theme, point of view. We marveled together that these “child-friendly” tales contained the kid-eating witch; the parents who left their kids in the middle of the woods; the multiple attempts to curse, poison, or slay enemies. And that’s not even considering the clueless, helpless, victimized princesses just waiting for a Man-with-a-capital-M to save their beautiful bustles. But I digress! I think we all agree pie is more pressing than fairy tales at the moment.
. . . But biting into this pie did feel a bit like living happily ever after. Let’s just say I’ve finally perfected my Red Berry Pie recipe with a little help from America’s Test Kitchen. 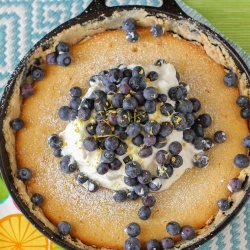 In their blueberry pie, they use a brilliant thickening agent: tapioca plus a big ol’ grated Granny Smith apple, which releases its natural pectin while baking. It worked so well for the blueberry, I decided to use it to tweak my previously flawed Red Berry filling. To say it worked perfectly is an understatement. This is the best pie I’ve ever had! The best pie I’ve ever eaten, y’all! Are you listening?! That’s saying a lot — I’ve eaten and swooned over some amazing pies (Peach Crisp Pie, for instance). The proportion of strawberries to raspberries was ideal: the raspberries lent their rich, deep fruity flavor to the brightness of the strawberries. The filling was thick, juicy, and hearty. The crust . . . well, okay, it was still difficult to work with, but practice must make perfect, because it was a little simpler than last time (hence the not-as-hideous pie, perhaps?) And of course it was tender and flaky. Serve each piece with a dollop of freshly whipped, lightly sweetened cream for a true fairy tale dessert — minus the cannibalism. Or grab the vanilla bean ice cream, if that’s your style! Regardless of the accompaniments, make this pie. Mmm, hello, big ol’ juicy berry!! 1. For The Pie Dough: Process 1 1/2 cups flour, salt, and sugar in food processor until combined, about two 1-second pulses. Add butter and shortening and process until homogenous dough just starts to collect in uneven clumps, about 15 seconds; dough will resemble cottage cheese curds and there should be no uncoated flour. Scrape bowl with rubber spatula and redistribute dough evenly around processor blade. Add remaining cup flour and pulse until mixture is evenly distributed around bowl and mass of dough has been broken up, 4 to 6 quick pulses. Empty mixture into medium bowl. 2. Sprinkle vodka and water over mixture. With rubber spatula, use folding motion to mix, pressing down on dough until dough is slightly tacky and sticks together. Divide dough into 2 even balls and flatten each into 4-inch disk. Wrap each in plastic wrap and refrigerate at least 45 minutes or up to 2 days. 3. Remove 1 disk of dough from refrigerator and roll out on generously floured (up to 1/4 cup) work surface to 12-inch circle, about 1/8 inch thick. Roll dough loosely around rolling pin and unroll into pie plate, leaving at least 1-inch overhang on each side. Working around circumference, ease dough into plate by gently lifting edge of dough with one hand while pressing into plate bottom with other hand. Leave dough that overhangs plate in place; refrigerate while preparing filling until dough is firm, about 30 minutes. 4. For The Filling: Adjust oven rack to lowest position, place rimmed baking sheet on oven rack, and heat oven to 400 degrees. Place 2 cups frozen whole strawberries and about 1 cup frozen raspberries in medium saucepan and set over medium heat. Cook, stirring frequently, until many of the raspberries have broken down and mixture is thickened and reduced to 1 1/2 cups, about 12-15 minutes. Let cool slightly. 5. Place grated apple in clean kitchen towel and wring dry. Transfer apple to large bowl. Add cooked berries, remaining 3 cups uncooked berries, lemon zest, juice, sugar, tapioca, and salt; toss to combine. Transfer mixture to dough-lined pie plate and scatter butter pieces over filling. 6. Roll out second disk of dough on generously floured (up to 1/4 cup) work surface to 11-inch circle, about 1/8 inch thick. Using 1 1/4-inch round biscuit cutter, cut round from center of dough. Cut another 6 rounds from dough, 1 1/2 inches from edge of center hole and equally spaced around center hole. Roll dough loosely around rolling pin and unroll over pie, leaving at least 1/2-inch overhang on each side. 7. Using kitchen shears, trim bottom layer of overhanging dough, leaving 1/2-inch overhang. Fold dough under itself so that edge of fold is flush with outer rim of pie plate. Flute edges using thumb and forefinger or press with tines of fork to seal. 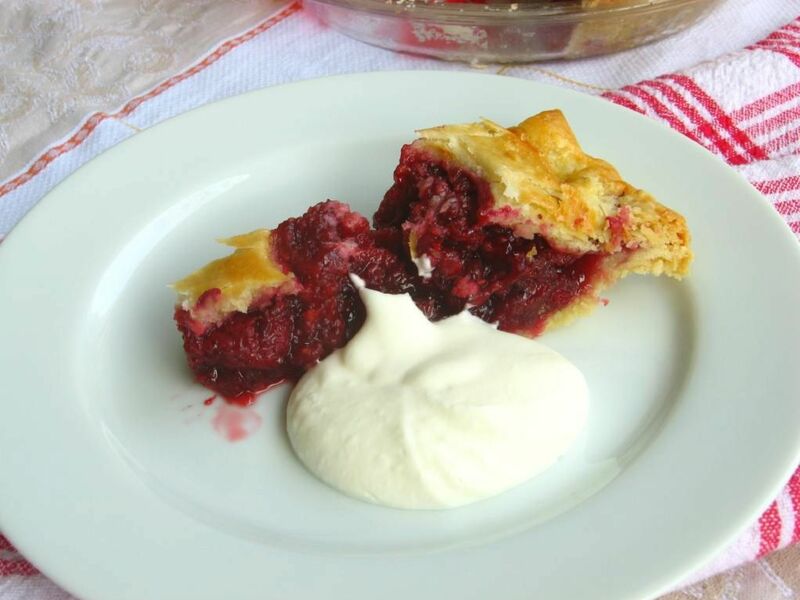 Brush top and edges of pie with egg mixture. If dough is very soft, chill in freezer for 10 minutes. 8. Place pie on heated baking sheet and bake 30 minutes. Reduce oven temperature to 350 degrees and continue to bake until juices bubble and crust is deep golden brown, 30 to 40 minutes longer. Transfer pie to wire rack; cool to room temperature, at least 4 hours. Cut into wedges and serve. *I made this recipe using unthawed frozen berries, but fresh would probably work as well if the berries in step 4 were mashed and cooked only for 8 minutes. 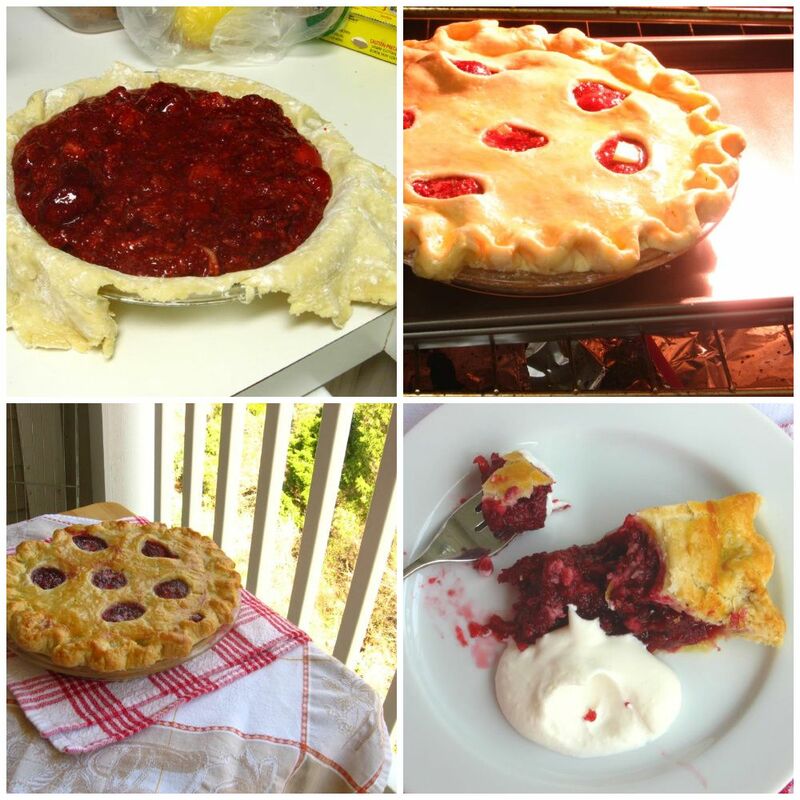 I used whole strawberries which made the pie so succulent! Grind the tapioca to a powder in a spice grinder or mini food processor. If using pearl tapioca, reduce the amount to 5 teaspoons. Vodka is essential to the texture of the crust and imparts no flavor; do not substitute. Best wishes for your happily ever after! And just in time for Pi day! Alyce, I totally did not know that about Australia! How do I miss these things? 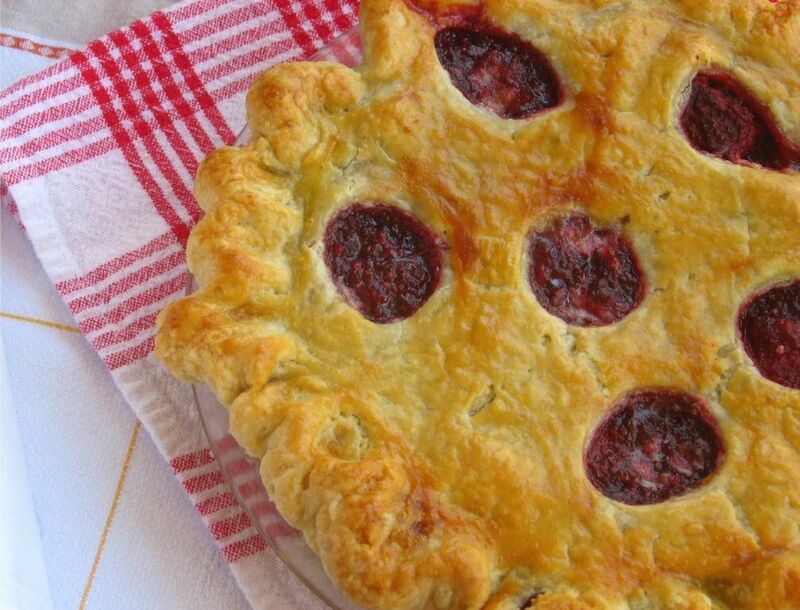 This crust recipe is an unruly mess to some extent, but it IS delicious. I’m still debating if it’s worth the extra effort! I also have an easier (I think) crust — it’s posted on my Peach Crisp Pie recipe. 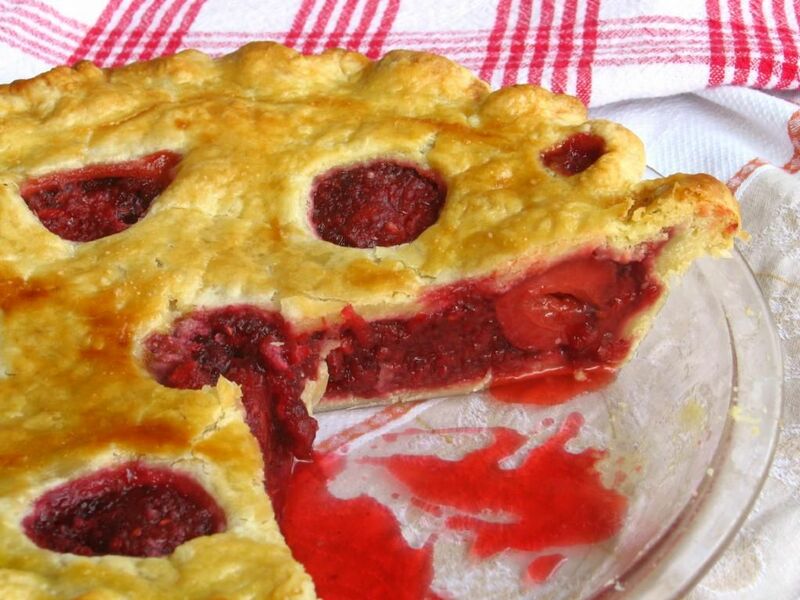 We never have enough berries around here to make this adorable pie. Next time I will save some. Or the frozen berries will do? I actually used frozen berries, Anh! They worked great! If you use frozen berries, should we thaw them out first? Also, if we skip the vodka, could it be replaced with just more water?